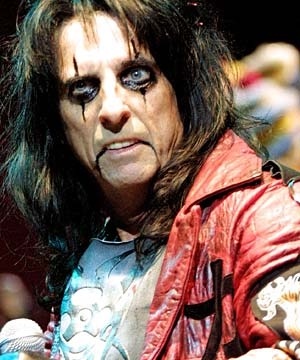 Alice Cooper has appealed for the return of a bag containing a collection of obscure horror films. Cooper lost the bag when arriving at Heathrow Airport, and is said to be so devastated that he's offered a pair of AAA passes to his current tour to anyone who finds the band and its contents. "Alice Cooper arrived at London’s Heathrow Airport Terminal 5 on Tuesday afternoon 9th June, where one of his bags went astray. "The bag contains hundreds of obscure horror movies on DVD and a laptop on which to watch them. While of no significant monetary value, Alice is understandably keen to recover his extensive horror collection. "An extensive search of both Terminal 5 and Heathrow's lost luggage facilities has not turned up the bag."